Camping or glamping in France has never been easier and whether you plan to take the ferry for a few nights in Normandy or you're training your way south for a Pyrénean adventure, it's worth booking ahead to make sure you don't miss out. To make life easier, you can now book book your stay at some of our favourite campsites directly through the Cool Camping website. All you need to do is take your pick! Terrific valley views, a peaceful vibe and friendly hosts keep visitors coming back to Camping Belle Vue. There are eight pitches in total, most with views of Chateau d'Hautefort lit up below, and campervans and caravans are welcome. The cosy Stable Restaurant means campers are always well catered for. There are few more relaxing sites than Simply Canvas, home to six furnished safari tents, kitted out with everything you need and each facing a different direction to reward you with unique, far-reaching views. Outside enjoy vegetable gardens, a swimming pool and evenings around the campfire. Surrounded by sunflower fields, Country Camping is a fuss-free, laid back campsite with just 20 grassy pitches and a small collection of glamping options spread among a collection of fruit trees. It's an easy cycle to the old military village of Saint Ybres and a short drive into the mountains of the Pyrénées. One of the first sites to appear in our guidebooks to France and Europe, Le Bois Coudrais offers good old-fashioned camping with spacious pitches and excellent facilities. There are farm animals to pet, a heated pool and, in summer, an excellent bijou café-bar. Campervans and caravans are also welcome. A magical, tents-only site that Cool Camping have championed right from the very beginning, Camping Fans boasts wonderful views, an excellent riverside location and the friendliest owners in the country. It's no surprise they are genuine camping fans themselves and the proof is in their creation. Home to vintage caravan 'Chestnut', a perfect couple's retreat, La Blanquette is so luxurious it even comes with a Champagne shed! The quaint and cosy caravan is accompanied by a wooden cabin, crafted from the surrounding woodland, and housing a lounge and outdoor sun deck. The 14th century town of Sarlat is within easy striking distance. This family-friendly site is not only a boon for campers and glampers but also a winner with food lovers – owner, Rowland, is an accomplished chef and takes care of cooking in the onsite restaurant. There's a pool, playground and 24hr Wi-Fi access, but with only six pitches it's one to book early. Hidden among the trees of a woodland nature reserve, Le Grand Bois has both regular tent pitches along with a village of luxury safari tents. There's a swimming pool, dining patio and snack bar, plus package booking options for guided tours of the rest of the park – hiking, cycling or motorbiking. Just a 10 minute drive from the coast, La Vendée Bretonnière is equipped with swimming pools, volleyball and tennis courts, a football pitch and play area. Pitches have ample space for family tents or campervans and at the centre of it all is a large, picturesque lake. Safari tents are also available for hire. On a wooded hillside overlooking the Ardèche river, Mille Étoiles feels almost lost in the wilderness despite the many comforts it affords. Camping pitches are the best way to embrace the surroundings but 11 luxury yurts are perfect for those who need a proper bed and a little glamour while on holiday! The ingenuity of these two floating cabins speaks for itself. Bobbing in the middle of a lake and only accessible by row-boat, this supremely cool glamping experience is perfect for couples or families looking for something different. Fish from your boat, enjoy fresh breakfasts or simply sit and enjoy the sun. In a sleepy market town famed for its wine, Domaine du Bourg is a small-scale Loire valley campsite with car-free camping and an array of luxury glamping options, including a gypsy caravan and three safari tents. There are several excellent long distance cycling routes on the doorstep and kayaks for hire. Pitches are huge and views are far reaching at this tiered campsite in the very south of France. There's a pool to keep you cool in the day and campfires to keep you warm at night. Comfort seekers can try one of two glamping options – plush safari tents with everything you need or an incredible tree house with the best views of the lot. In the foothills of the Pyrénées, these six space-age-looking geodesic domes feature stylish, modern interiors and a swimming pool, play area and licensed bar outside. Bike hire for the mountains and surf-board hire for the nearby beaches are both available. Quintessentially French, Camping La Chatonnière boasts a chateau within easy walking distance, fresh pastries available each morning and a chilled out atmosphere like nowhere else in the world. 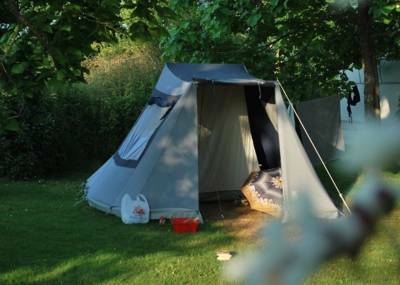 Tents make up the majority of campers, with vans also welcome, and the riverside setting makes it popular for wild swimming. Domaine de Pradines is a campsite with a staggering history, while today’s grounds are relatively wild and rustic. There are 50 spacious pitches, some with electricity, and an outdoors swimming pool and playground. Pinned between two renowned national parks its particularly good for walking, cycling and wildlife-watching.